The fifth edition of the Professional Lighting Design Convention, PLDC 2015, endorsed the importance of the biennial convention for the international lighting design community in Rome. Associations, universities, media partners and public clients regard PLDC as the platform for the development of new trends and political discussions. In Rome, the lighting designer, lighting architect, end-users, researchers, educators and other representatives from the lighting profession were discussing the quality of light in architecture, and to discover and develop trends and discuss the future of the lighting design profession. This PLDC 2015 Review will provide you with a short capture of the event. Six Experience Rooms, a lighting design competition focussing on the EUR district in Rome, excursions to projects in the City of Rome, and a series of pre-convention meetings all contributed to expanding PLDC’s reputation as a quality global lighting design convention. The event was ably supported by 65 leading companies, who demonstrated the current potential of the lighting industry. The best Italian Coffee served at PLDC 2015 by the (German) Hoffmeister Team. Joachim Ritter, Chair of the PLDC Steering Committee, was extremely pleased with the overall response to the convention: “We are delighted that our ideas and efforts have met with such a positive response, and that the modern format we have developed for PLDC has gained so much recognition worldwide. The market is very dynamic right now and lighting design is gaining more attention in this International Year of Light 2015”. This year, PLDC was also an international meeting point for professional issues concerning the recognition of the lighting design profession. A new initiative currently underway is focussed on gaining official recognition of Lighting Design as a profession at EU level by introducing a licensing procedure. This marks a significant step in the process to gain recognition for the profession. 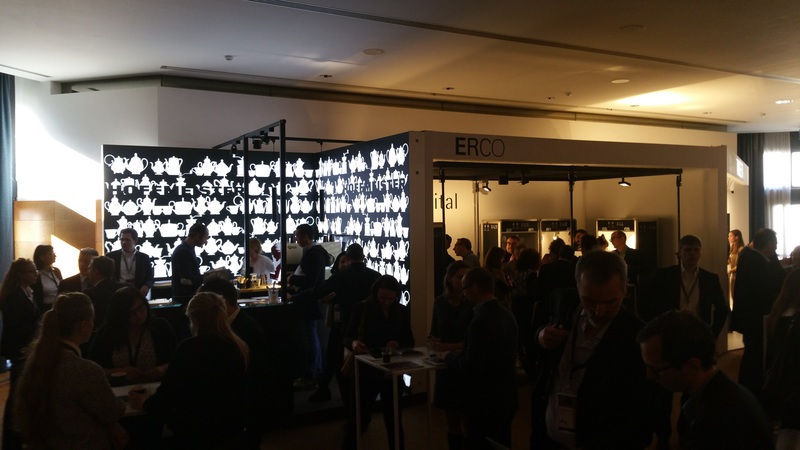 The latest initiatives, which are being driven by a group of dedicated lighting designers and educators, were presented at PLDC 2015. The motto of this year’s PLDC was spot-on: “An educated decision”. Modern lighting design is based on the evidence revealed by scientific studies and is therefore a discipline that can be studied and learnt. In future, Bachelor and Master degrees in Lighting Design need to be more acknowledged as marking the graduate’s start in professional life. Education and continuing education are, and remain, the basis for all developments in the field of lighting design as a discipline. This year was the first time that a design competition was staged on the occasion of PLDC. The international competition, which focussed on the historic EUR district in Rome, was organised as an interdisciplinary project and required that an architect work together with a lighting designer to develop the concept. The results were exhibited at PLDC in specially dedicated Experience Rooms. 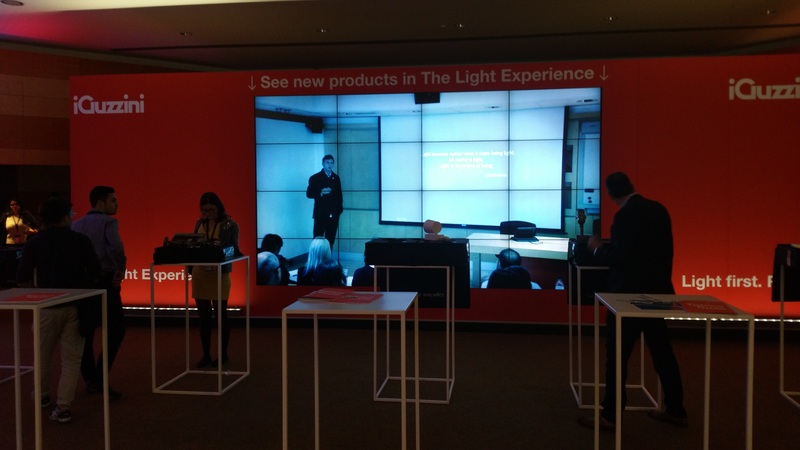 The PLDC 2015 show experience of iGuzzini. PLDC also hosted Round IV – the final – of the young designers’ speaker competition, The Challenge. Of the 50 candidates who submitted topics for papers in Round I, six young talents competed for first prize on 31. October in the final. Over the past 18 months, and four rounds, the young designers developed their respective topics, coached by a professional lighting designer to optimise the content of their papers and refine their presentation techniques. Within the framework of the final, the speakers were judged on the quality of the content of their papers and the professional quality of the presentation itself. The winner was selected by an independent jury and announced at the Gala Dinner. PLDC 2015 also marked the kick-off to the next edition of The Challenge, which will take place over the coming two years. The Gala Dinner, including the PLD Recognition Awards, which was the climax to PLDC 2015, was held in the Cinecittà film studios in Rome. The closing event, with almost 800 guests attending, was sold out months before it took place. The main highlight of the evening was the Awards ceremony: lighting designers and other key partners in the community were recognised in seven different categories for their outstanding contributions to the advancement of Architectural Lighting Design in the last two years. The lighting designers from ACT Lighting created a magical atmosphere. At the Gala Dinner Joachim Ritter announced the location and the motto for PLDC 2017: “Shift happens!”. Dramatic changes on the lighting design landscape, the impact of digital technologies and the processes the design community will have to undergo to adjust to changing conditions. Paris will be the location of the next PLDC event. The French capital looks forward to playing a significant role in support of PLDC 2017, and the PLDC organisers will be cooperating with key persons to take the event to a new level.